I'm participating in the Showers of Books Giveaway Hop and giving away a copy of Blue Sky Days and/or Waiting for the Storm. Don't forget I also have a big Waiting for the Storm swag giveaway going on! Not much to report here. It's been another quiet week. Every day I've promised myself I'll get started on my next writing project, but instead I get caught up in blog stuff. Next week I go to a heart clinic to have an electrocardiogram, echocardiogram, and get hooked up for a 48-hour heart monitor to determine why I've been having flutters in my chest. Not really looking forward to that, but I'll be glad to get it over with! Molli wrote a letter to her 14-year-old self, talking about how reading saved her during a really difficult time in her life. White Lines by Jennifer Banash is one of my favourite books of 2013 so far. Jennifer talked about her life as a club kid and shares the playlist for the book on Forever Young Adult. This post made me want to go reread the book! Jamie introduced a new feature called Beyond the Pages and opened up about what she wants to do with her one wild and precious life. 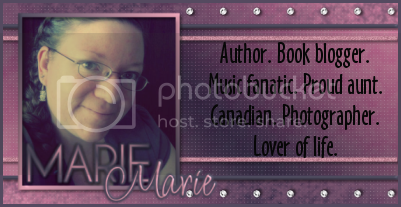 Kristilyn talks about what it takes to be a book blogger and why it’s not as easy as it looks. Blogging is hard work, you guys! Thanks for the links - I especially loved the one on what it takes to be a book blogger! Awww, thank so much for the linkage love! That letter was hard to write, but I have ideas for another one in the works. Also, AHH. Tell me what you think of AKA when you read it. It's like a teenage version of Leverage. Awesome haul of books this week. You had some awesomeness come your way. Also like the linkage to other posts. They were interesting. Come visit me as well. I really liked Also Known As! It was great. It looks like we are both taking part in Game. Set. Match and The Forgotten Ones blog tours! :) Enjoy your goodies! I thought Also Known As was so good. I loved the humor. Come and see what I got this week at Ms. Martin Teaches Media and Inside of a Dog. Happy reading! The Forgotten Ones look good. Click sounds interesting, I will have to read this one myself. I enjoyed Quicksilver. I love the cover for Along for the Ride!! !